2 images. Grand Jury hearing (Ambulance Contract), Burbank, 2 June 1952. 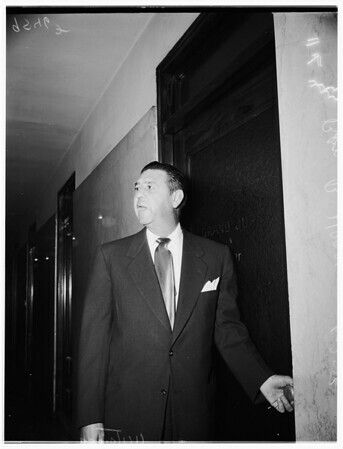 Ben B. Henry (witness).